We have formed quality Partnerships to provide you with the most innovative design and build solutions for any custom home, renovation, or commercial building project. Our partners enable us to provide you with unique options and the most innovative, well-rounded solutions available today. OakWood is approved to sell and install the Tesla Powerwall through MPower, which has the exclusive licensing rights in Canada for Tesla products. The Tesla Powerwall is a key component in our solar powered solution for helping clients achieve lower energy costs and self-sufficiency. 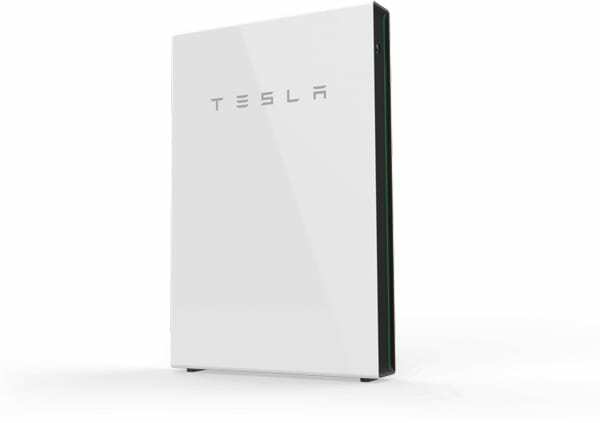 The Tesla Powerwall is a 14 kWh rechargeable lithium battery with liquid thermal control that provides a sustained power supply. With the Powerwall, you have the option to store your solar power and use the electricity during a power outage. Or you can use the Powerwall to time shift your energy consumption and lower your electricity bill. This works by charging the Powerwall when rates are low to use; and then shifting to use the stored electricity when rates are high. OakWood became the first renovator in Canada and the first contractor in Ottawa to measure up to Mike’s stringent standards. Mike trusts OakWood to get any job done right. So can you. OakWood works closely with agents and clients to quickly assess, provide recommendations and our industry leading, fixed-price FullQuote™ to renovate the existing home. We can also facilitate financing for qualified clients; and always strive to complete all work by move-in date to minimize inconvenience. OakWood also has access to hundreds of premium lots in quality subdivisions across the region and can help agents quickly find potential sites for a new dream home. OakWood provides a turnkey, high quality design and build solution for building a new custom home on any property including estate lots and in-fill lots. OakWood can help you close more deals more quickly by offering a portfolio of comprehensive services that range from uncomplicated fix-it projects to complete Design & Build solutions. As a registered OakWood Real Estate Partner, you’ll get full access to the award winning OakWood Design Centre to help your clients clearly imagine the renovation or new home possibilities—so you can close more deals, more easily. OakWood offers Architectural Design services using certified in-house designers. For large, complex projects or if you’re already working with an Architect or Designer, we offer a design conscious build service and manage the entire construction process. 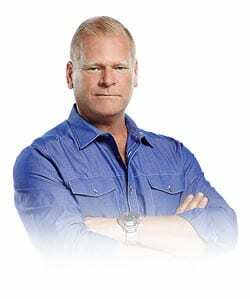 Our Partnership with Appliance Canada enables our clients to get a one-stop, turnkey solution for any Design & Build project that requires new appliances. Appliance Canada often extends special discounts and savings to Partners—which we pass on to you. The most important benefit you get is ensuring your project takes into consideration any special hook-up, space, power and handling needs that new appliances may require. Many now have complex requirements that can affect the warranty. OakWood includes these requirements in all design and planning for your project to ensure appliances are delivered, installed, and connected according to the manufacturer’s guidelines—with any potential warranty issues handled directly by OakWood. Your project could make an even bigger difference! When you choose OakWood as your contractor of choice, you can also feel good knowing that where possible, reusable materials that are removed as part of a take-down process for your project will be donated to the Habitat for Humanity. That means your renovation could help give a needy family the hand-up they need to build a better life through affordable home ownership. Habitat for Humanity is a national non-profit organization dedicated to providing low-income families with safe, decent, affordable housing. OakWood has been a partner since 2012 providing project management services, donating reusable materials and supporting Habitat’s ReNew It Program. Part art, part advanced technology, all style: La Cornue! When OakWood opened its LEED Platinum Design Centre & Showroom in 2016, it wanted a luxury accent like no other. Nothing beats a La Cornue for style, flexibility, ease of use and aesthetic appeal. That’s why OakWood is now the exclusive Ottawa distributor for La Cornue, Chateau Series. Handmade to order in La Cornue’s atelier outside Paris, the Chateau Series is the “Crown Jewel” of La Cornue. See it for yourself at the OakWood Design Centre. Walk-ins welcome; but we do recommend scheduling a visit to ensure one of our Designers or Project Consultants is available when you arrive. Cabinetry is a big part of most of the renovation and custom home solutions that we provide. Whether a kitchen, bathroom, dining room, home office, entertainment room—all usually need some type of cabinetry. While we have worked with many excellent cabinetry suppliers over the years, our standards are not only exceptionally high we also want to offer our clients maximum flexibility. That’s why OakWood has partnered with Cabico—Canada’s largest independent manufacturer of high quality, custom cabinetry. OakWood has a dedicated production line inside the Cabico manufacturing plant. By eliminating the “middleman”, OakWood can provide affordable custom cabinetry, that’s made to measure, for any room, with with standard features that are extras on many other cabinetry products. Say ‘no’ to standard, ready-to-ship pre-assembled cabinets that aren’t quite right—or very common. Say ‘yes’ to flexibility, freedom, and personalization. OakWood’s Architectural Design services include Interior Design to provide you with a true, one-stop, turnkey solution for any Design & Build project. Through our partnership with The Brick, you have access to one of the broadest selections of quality furniture and home décor solutions in the City. OakWood clients enjoy special benefits with an exclusive 5% discount on all items and we will organize all deliveries to ensure any items are delivered with perfect timing. Through our concierge style Select Luxury Design Service, we will even pick you up or meet you at The Brick to help you assess the many furnishing options; and create the perfect look, right down to the throw cushions and table centerpieces. Randall’s is well known for its high quality paints, stains, and an exclusive line of high quality window-wall coverings, and unique handcrafted Mennonite furniture. In addition to providing a complete in-store renovation and home decorating solution, our partnership with Randall’s gives OakWood a special in-store presence through our Loft Showroom. Located at the Randall’s Centre, 555 Bank Street the OakWood Loft Showroom, features four exquisite kitchen displays, complemented by Randall’s furnishings, and cabinetry from Cabico, OakWood’s high quality, custom cabinetry partner. Also, when you become an OakWood client, you’ll receive a Randall’s VIP Discount Card entitling you to exclusive savings—10% off regular-priced merchandise and 5% off sale-priced merchandise at all Randall’s stores. Come and enjoy a personal retail experience that blends high quality home décor products with OakWood’s award winning Design & Build service with inspirational kitchen displays to prime your creative juices. We do not charge or profit! OakWood makes no money on financing. We simply help you get the financing you need so you can proceed with your dream project today.